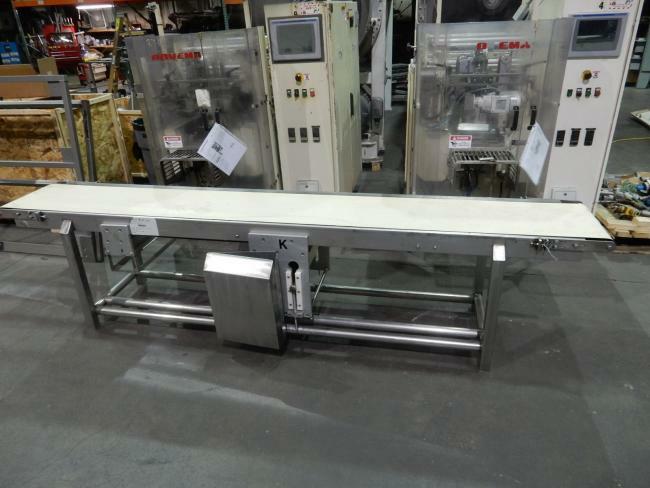 Used VFFS Finished Product packaging conveyors for sale! 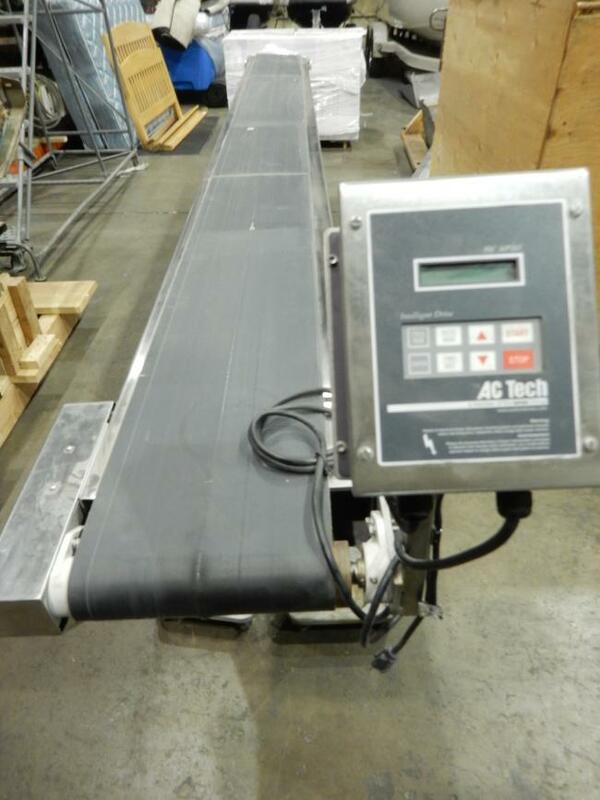 Used Finished Product packaging conveyors for sale! High Performance Packaging has many different packing conveyors in stock! Please visit our website to see the options available in all the different packing conveyors we have. 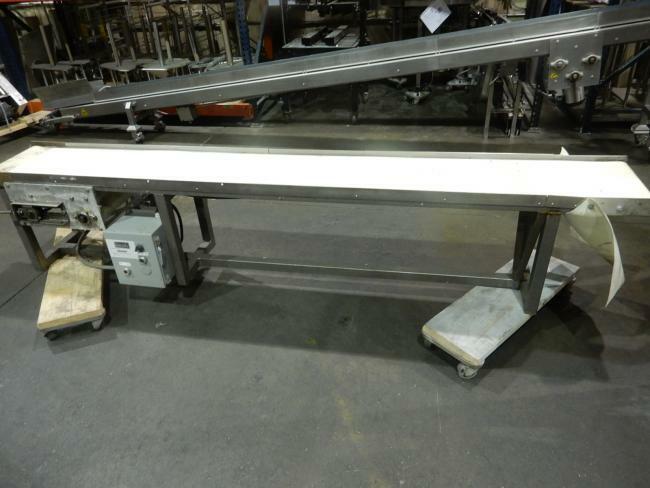 Used 10 ft L S/S Power Belt Conveyor with 15.5" W Belt, with Drive Motor, 28" H Leg Supports for sale! Used 10 ft L S/S Power Belt Conveyor with 14" W Belt, with Drive Motor, 23" H Leg Supports for sale! 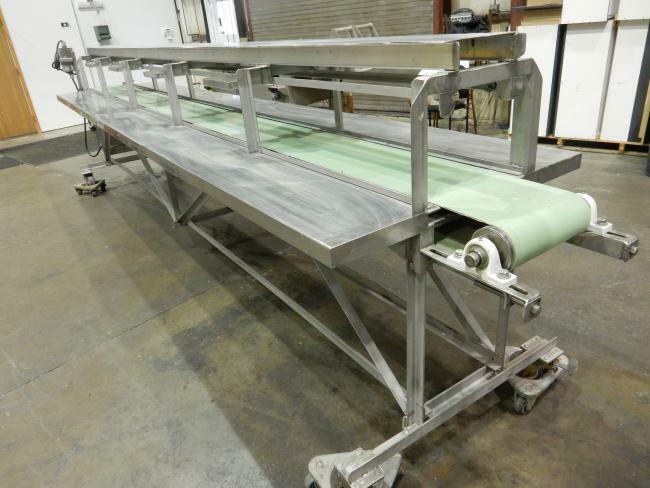 Used 14ft long finished product packing conveyor for sale!! !